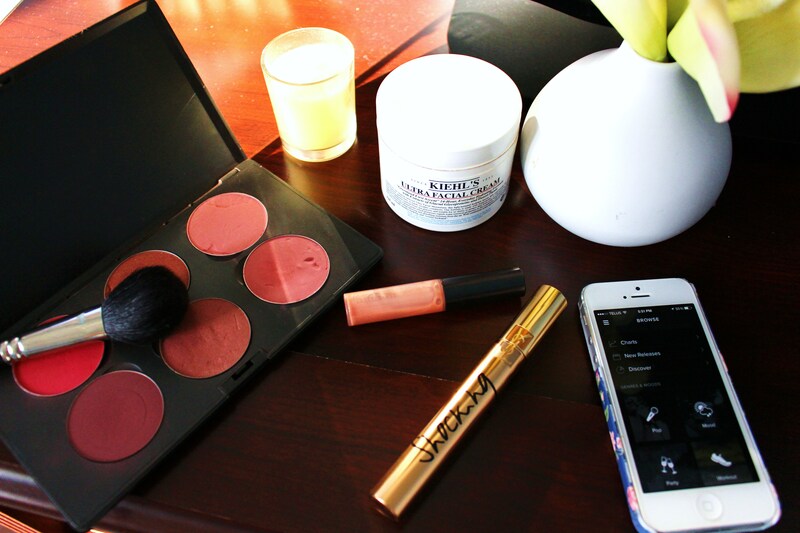 March Favourites: Beauty, TV, Music & More! Happy April, gang and…surprise! I bet you thought I’d retired the ol’ YouTube channel, didn’t you!? NOPE. Enjoy this video in which I discuss all of my recent favourites, including makeup, skincare, music, TV & more! Exactly one year ago today, I was pacing up and down my kitchen, dreaming up scenarios and lines. You see, one of my favourite television shows ever, How I Met Your Mother, would be airing their series finale that evening and there was still so much to be covered and/or wrapped up. I took it really seriously, after all, I actually learnt some life lessons through that show (cue the laughter), and it meant a lot to me. I think I’ve expressed how I feel about that fateful day a few times too many on Twitter, but to sum it up for you: it sucked. I had such high hopes, #HIMYM had easily blown every show I’d ever seen out of the water (barring Gilmore Girls, that will forever be the best show of all time), with its humour and wit, great storylines and unbelievably relatable characters. I could go on and on about how high I valued HIMYM; it was for keeps. Until March 31, 2014, when everything blew up in my face in the matter of a single hour. Now, for all you folks who aren’t caught up on HIMYM yet, don’t worry, I won’t spoil anything. What I will say, however, is that the ending…was not what I expected nor could have really seen coming. I’ve heard that if you go back and rewatch certain episodes of the show, there are some pretty big hints, but I haven’t been able to work up the courage to watch a single episode. In a year. That’s saying a lot, given how much TV I watch and how big a fan (superfan, really) I was of the show, but I just can’t stomach it. Not yet. Yes, a year later and I’m still reeling. I think it’ll take me a little while to completely ‘get over’ it (listen to me talking about a TV show like it’s an ex-boyfriend…haha, #thesinglelife), but hey, c’est la vie. And that’s okay. Especially when I have great shows to help me through. Anyways, this season, season 20, is HUGE. I’m so proud that this show has made it as far as it has, because it combines all of my favourite things, dancing, singing (from the live band), a great show and witty commentary (Thanks Tom Bergeron, you’re truly awesome). I literally think I’ve been watching the show since season 2, back 9-10 years ago, and the show has blossomed and flourished into what it is today! So nice to see! It’s no secret that I am a huge fan of Cinderella. I grew up loving her character and her story but most of all, Disney’s cult classic animated depiction of the tale from 1950. 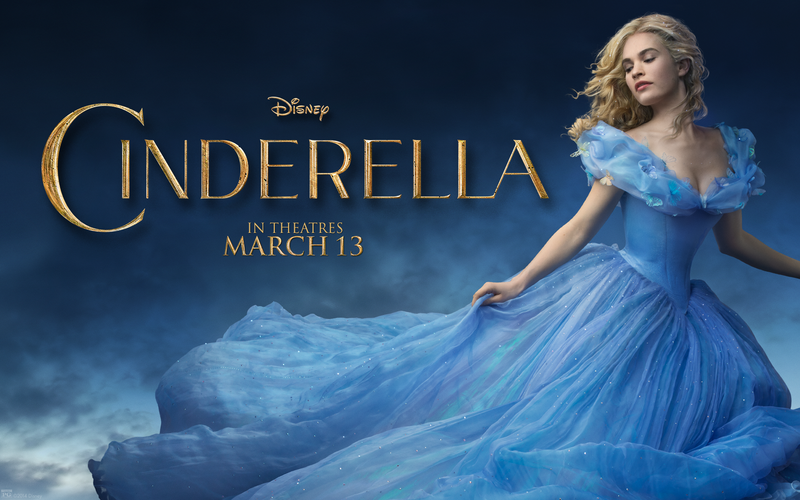 Something about the sweet story always captured my heart, and when Disney brought it to screen, Cinderella embodied everything there was to know about being a pleasant, feminine, hopeful young lady. There have been other adaptations of the ultimate rags-to-riches tale in the last several years, notably Ever After starring Drew Barrymore (which I loved) and A Cinderella Story starring Hilary Duff, but nothing even came close to the simple greatness that was the animated version. So, when I heard that Disney would be releasing an all-new version of the story, this time live action, I trembled with as much excitement and anticipation as I did curiosity and hope. Well, I went to see it at last on Saturday evening, and I’m reporting for duty as your trusted friend to share if it’s worth its weight in gold. I value my morning time like none other. It’s the one time of day that I get to completely relax, with very few things on my mind, and I get to just be me. 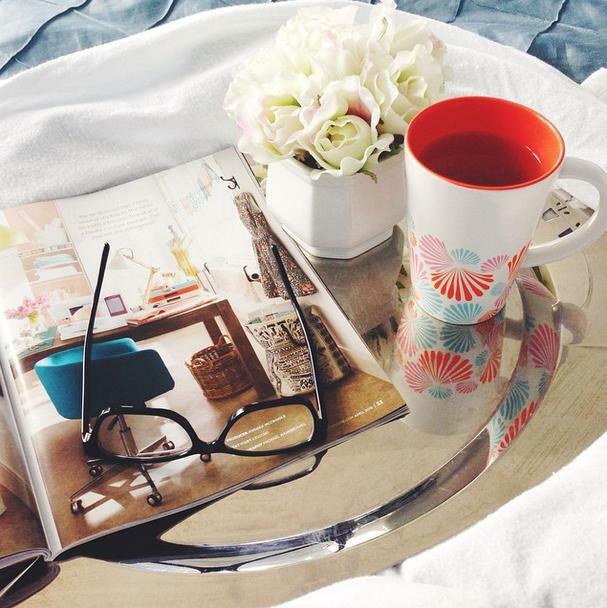 I get to sip my tea or coffee, or sometimes both, in utter peace and indulge in exactly what I want to indulge in. Sometimes it’s catching up on my favourite shows that I’ve not had time to watch before, sometimes it’s to get a few chapters in of my current read, and sometimes it’s to literally sit and reflect. Whatever it is, I really treasure this time of day, and though I don’t get peaceful mornings like this everyday, it sure is enjoyable when I do. I’m also acutely aware that it’s a luxury I won’t experience this summer when I’m (hopefully) back at work, which makes me relish in those precious AM moments even more. This morning, I thought I’d make you privy to some of my thoughts on this dreary March day. Nothing electrifying, nothing groundbreaking, and I certainly won’t be winning the Nobel Peace Prize based off of any of these, but they are my thoughts and yes, I am sharing them nonetheless. Seeing as it’s Monday, think of it as a bit of a weekend recap and a peak inside my brain (that man in the corner just screamed with terror; yea, my brain is a scary place ;D).